Joint-Professional Mater Program in Urban Management is the collaboration of the two institutions – HCMUARC & AIT. The joint-program particularly plays an important role in producing Urban-planning experts as Vietnam urban planning is encountering challenges as a result of rapid industrialization and urbanization process. Academic staff includes experienced lecturers from AIT schools of Environment-Resources-Development and others. The program also has the contribution of some renowned UARC professors. 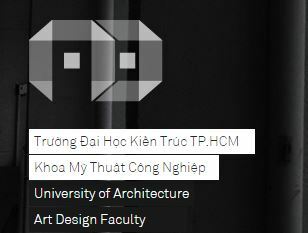 The program lasts in 12 months, divided into 3 semesters (2 in HCMUARC and 1 in Thailand). The last semester includes internship and thesis writing. The materials are well-equipped and in good conditions. The program commences in September 2012.